Welcome to the land of Lord Guruvayurappan! We understand how much you crave to be close to your favorite God in his Holy land. 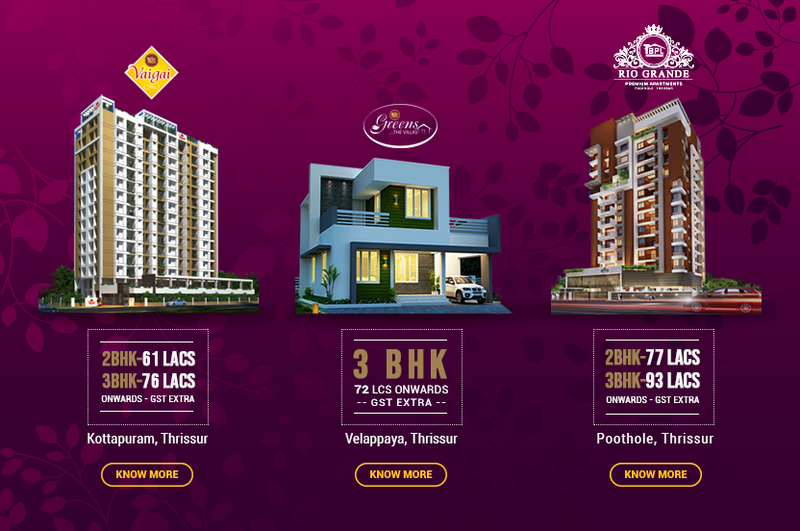 TBPL Builders Thrissur brings you a plethora of affordable living spaces in the divine land of Guruvayoor where you will wake up to feel and experience the bliss of worshipping Lord Krishna in his Abode. Guruvayoor where the Almighty himself exists is a place where most people dream to live and own a living space. Located near to Thrissur, Guruvayoor is well-connected by rail, roads and airways, with Nedumbassery airport in Cochin being the nearest airport. A number of devotees visit the Guruvayoor temple every year to seek the Lord’s blessings. The place is filled with bliss in abundance such that the people who visit to fulfill their soul’s craving to devote themselves at the feet of the Lord fall in love with the pristine serenity of the place and wish to settle down here. 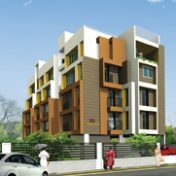 The need for replacing the traditional legacy of building independent houses started when more number of people started moving into Guruvayoor to live a life very close to their favorite Lord Krishna. This is when TBPL Builders in Guruvayur and Thrissur started uncovering the excellence of our engineering and real estate brilliance by building homes that you need. Real estate is one of those sectors in Guruvayoor that has witnessed a steadfast growth over the years. And, with the rapidly changing pace of the real estate paradigm, a number of builders, architects, engineers, realtors and construction consultants are emerging. A few years back when we set out to build some of the most beautiful homes in the land of Poorams. Back then, we decided to uplift the face of this beautiful land, Thrissur with the evolving trend of modern living spaces. We offer you a wide range of 1, 2 & 3BHK flats and apartments in Guruvayoor and Thrissur. TBPL has already set a benchmark for sophisticated living spaces and our completed villa and apartments in Thrissur, Guruvayur are an excellent illustration of our expertise. Are you ready to experience the fresh feel of living in your dream home? We roll out before you the ready to occupy Ambady Enclave projects of Thrissur Builders Private Limited. Harichandanam is one of the other ongoing projects that will be soon available to you. TBPL has already completed and successfully delivered 9 apartment projects and 1 villa project in Guruvayoor. A few others are taking shape in the land of Lord Sri Krishna. We provide a vast array of living spaces that ranges from Studio, 1 and 2 BHK, apartments and 3 BHK villas in Thrissur, Guruvayoor. The quality of excellence is our word, and it is best when experienced. Book your dream home in Guruvayoor, the land of Lord Sri Krishna today.